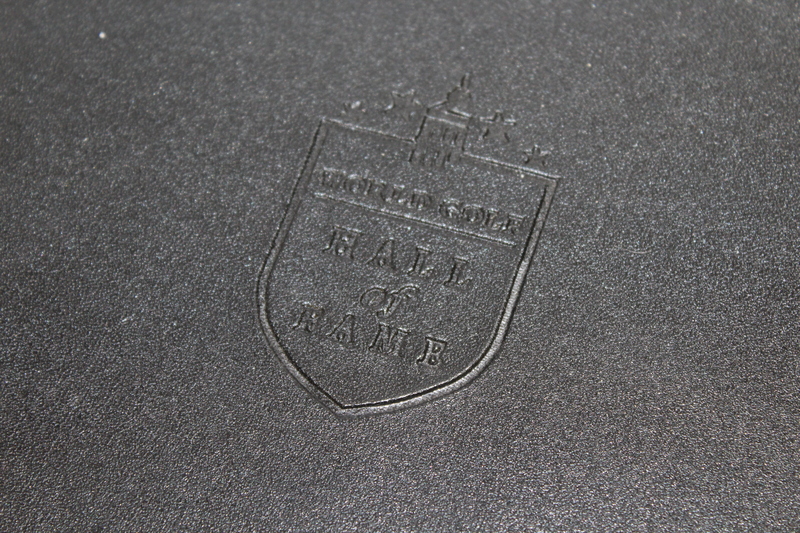 The World Golf Hall of Fame was established in Pinehurst, NC in 1974. 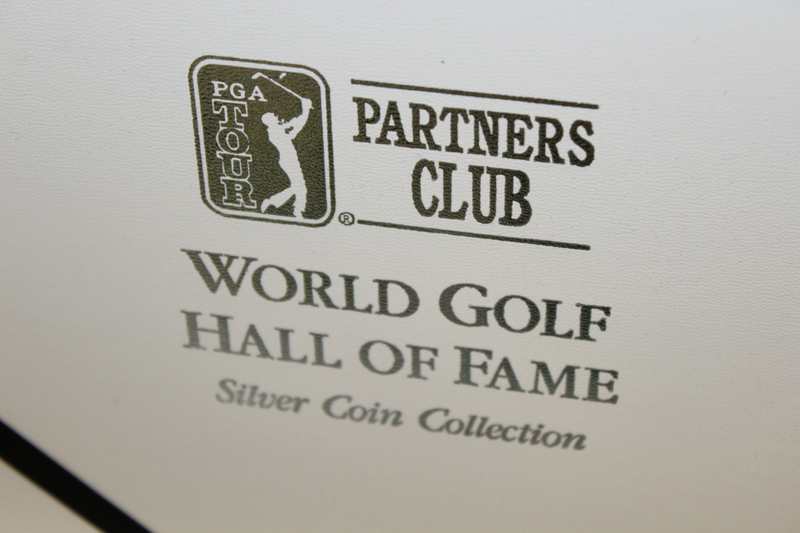 The inaugural class was comprised of 13 members which included Arnold Palmer, Bobby Jones, Babe Zaharias, Ben Hogan and Jack Nicklaus. 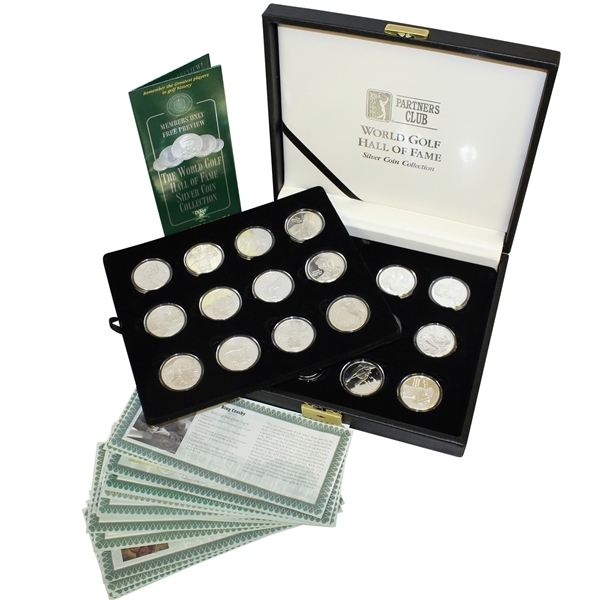 Offered here is a complete set of troy one ounce fine silver medals commemorating the inductees to the first World Golf Hall of Fame, and subsequent early inductees. 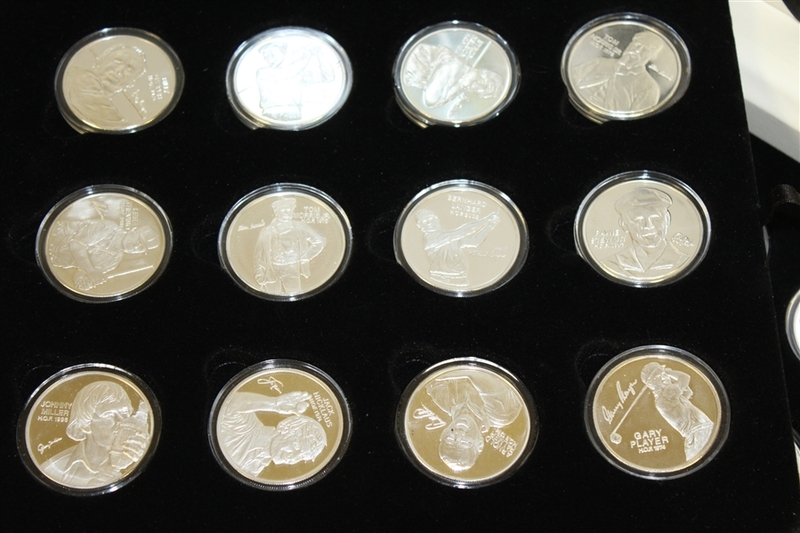 The complete set features three coins in Nicklaus, Johnny Miller and Harry Vardon which are seldom scene in individual offerings. 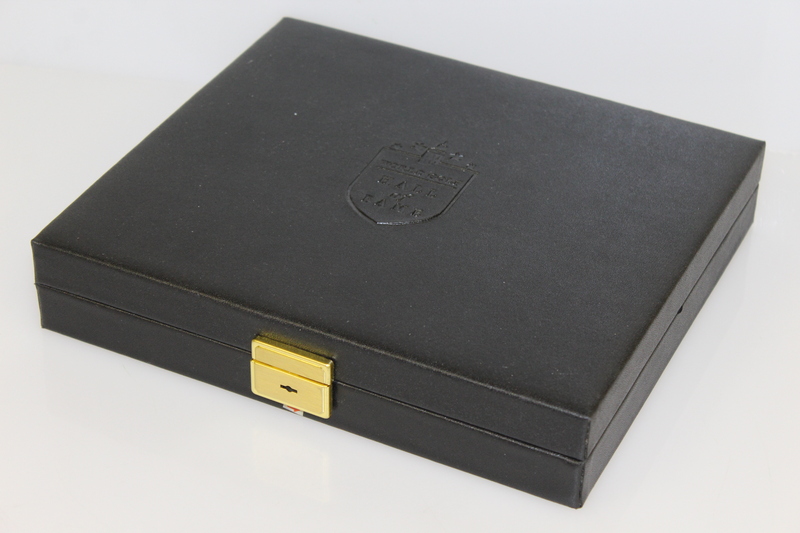 The original presentation case and detailed paperwork for each of 24 coins is also included with this offering. 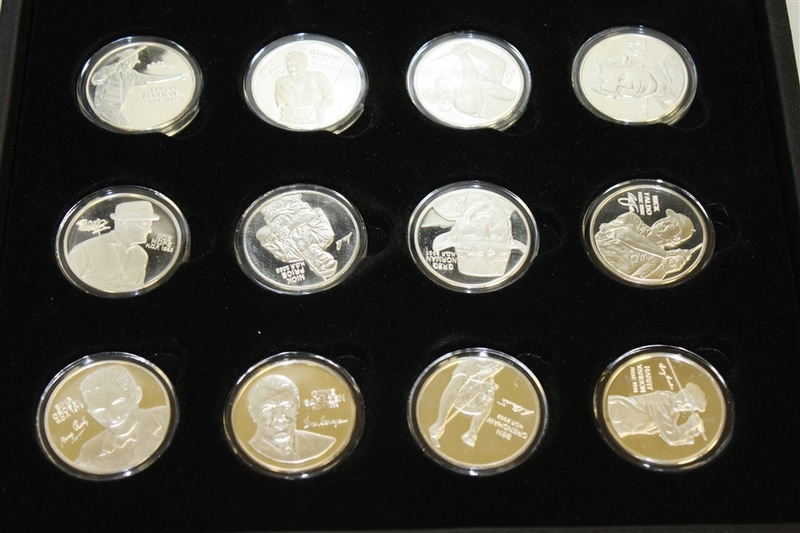 We have had individual coins from time to time over the years, but this marks the first time we have had the opportunity to offer the set in its complete format.